“We know that when provided appropriately targeted information and encouraged to lead the solutions, Indigenous people are responding in an overwhelmingly positive manner. But, while the decline of smoking is encouraging, we need to be sure we don’t become complacent. The recent release of the Victorian Cancer Council report highlighting that one in ten smokers do not believe that smoking causes illness, only a quarter of smokers could link smoking with heart attacks and half with lung cancer means that there is still work to do. 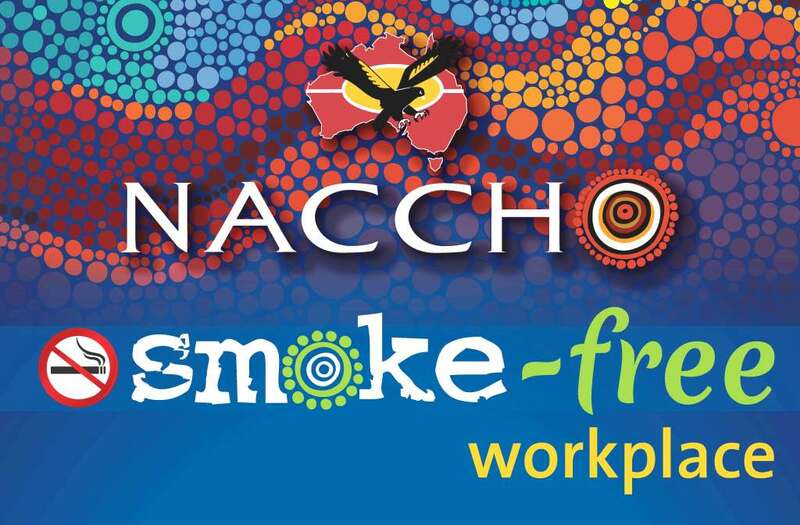 Two in five Aboriginal and Torres Strait Islander people continue to smoke, with one in five dying due to tobacco related illness and costing too many of our peoples’ lives every year. This burden is too high and emphasises the importance and the urgency needed to continue, and accelerate, efforts to tackle smoking. However, there are encouraging signs. This research also shows a dramatic increase in awareness of the effects of second-hand smoke on children and unborn babies and generally, strong public awareness of the harms of smoking. This also follows the promising signs from the 2012-13 Aboriginal and Torres Strait Islander Health Survey which showed that the number of Aboriginal and Torres Strait Islander people smoking is decreasing, declining 10% over the last decade. 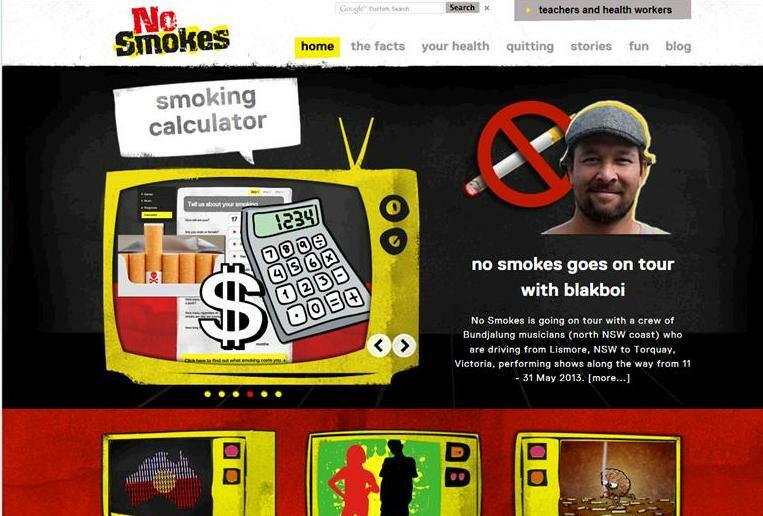 The survey also showed a decrease in smoking uptake, with more than one third (37.2%) of Aboriginal and Torres Strait Islander adults never smoking (up from 30% in 2002). Tackling Indigenous smoking programmes are making traction through a population health and capacity development and empowerment approach. We know that when provided appropriately targeted information and encouraged to lead the solutions, Indigenous people are responding in an overwhelmingly positive manner. But, while the decline of smoking is encouraging, we need to be sure we don’t become complacent. The challenge to reduce smoking or not take it up is immense and will require a sustained and well-funded effort to really make a difference for our people and close the healthy inequality gap. about a quarter of the smokers surveyed could not spontaneously say that heart attacks were caused by smoking. the data also shows less than 10 per cent of current smokers can connect smoking with asthma, gangrene, eye problems or pregnancy problems. And only half of all smokers surveyed could spontaneously link smoking with lung cancer. Cancer Council Victoria releases fresh research on the attitudes of smokers, to mark the anniversary of the 1964 report by the US Surgeon General. On the 50th anniversary of a landmark report linking smoking to cancer, a new report shows one in 10 smokers do not believe smoking causes illness. Cancer Council Victoria is releasing fresh research on the attitudes of smokers, to mark the anniversary of the 1964 report by the US Surgeon General. The survey of 4,500 Victorians was conducted by the charity and included a cross-section of smokers and non-smokers. Todd Harper from Cancer Council Victoria says about a quarter of the smokers surveyed could not spontaneously say that heart attacks were caused by smoking. He says the data also shows less than 10 per cent of current smokers can connect smoking with asthma, gangrene, eye problems or pregnancy problems. “I think what we’ve also seen is some improvement over that period of time, we have a majority of people who recognise the harms of passive smoking, but we still have much more to do,” he said. “Given that smoking still kills 15,000 people every year, given that smoking will kill one in two long-term users, I think it shows the importance and the urgency of keeping up the fight on tobacco. Mr Harper says there needs to be tighter licensing rules governing where cigarettes can be sold in some states, and higher licensing fees in the states that have an existing regulatory environment. Shops do not need a licence to sell cigarettes in Queensland or Victoria. Licensing arrangements exist in the other states and territories, but Mr Harper says the licences are far too cheap. “It’s a remarkable contradiction that cigarettes are more freely available than milk and bread, I think we do need to look at ways of restricting the availability of tobacco products,” he said. “We also need to be doing more to invest in public education campaigns to encourage smokers to quit and to continue to build on the success that we’ve had with smoke-free environments. “What we’d like to see is that tobacco products weren’t freely available, particularly in places were children are likely to be frequenting. “So that might be achieved by for example, increasing licence fees for sellers of tobacco products and I think we can also do more to extend smoke-free environments. “We don’t do enough to recognise that selling tobacco products is not a right, it’s a privilege, these are products that kill one in two long-term users. A report published in the American Medical Journal this week says despite progress in reducing the prevalence of daily smoking since the 1980s, the number of smokers has “steadily increased” worldwide due to population growth. It says between 1980 and 2012, the estimated prevalence of daily smoking for men declined from 41.2 per cent to 31.1 per cent, and women fell from 10.6 per cent to 6.2 per cent. But it says more than 50 per cent of men are smoking in countries including Indonesia, Laos, Papua New Guinea and East Timor. Saturday marks 50 years since the US Surgeon General Luther Terry released his report linking cigarettes to cancer. Simon Chapman is the Professor of Public Health at the University of Sydney. “This was the second big review after the English reviewed the evidence, which pulled everything together, all the research that existed and said ‘this is a major health problem’, it set the scene for years to come and has caused literally hundreds of millions of people to give up smoking,” Professor Chapman said. “The Surgeon General is the leading office that pulls together reports about health in the United States and they’ve produced many reports over the years on smoking. “I think people had understood for many years, people had understood expressions like smoking ‘stunted your growth’, but people had never really understood that smoking was a leading cause of death, in fact it kills more people in the world today than any other single cause. In 1964, smoking rates sat around 70 per cent for men and 30 per cent of women. Since then, smoking rates among adults have more than halved, with current figures putting the smoking rate at 17.5 per cent. Professor Chapman says there was little response in Australia at the time to the report. “I think that many people found it difficult to take on board that smoking was as harmful as the report concluded, but in the years since that message has been amplified over and over again,” he said. “There is really nothing in the history of medical science which is so conclusively demonstrated as the relationship of smoking to disease. “Publicity which the report attracted immediately started causing many people to give up smoking, if you looked at what was happening particularly post-war, smoking was going up and up and up, and when those reports came out it started immediately going down and it’s been going down ever since. “The tobacco industry were, predicably, very aggressive in their criticisms of the report. They started hiring tamed scientists who travelled around the world including to Australia, saying ‘Oh, it’s air pollution that’s doing this, it’s not cigarette smoking’, it was genetic and issues like that were raised continually by them. “Unfortunately in Australia we had to wait 10 years for the government to take its first action which was to put very tiny health warnings on the bottom of cigarette packs. 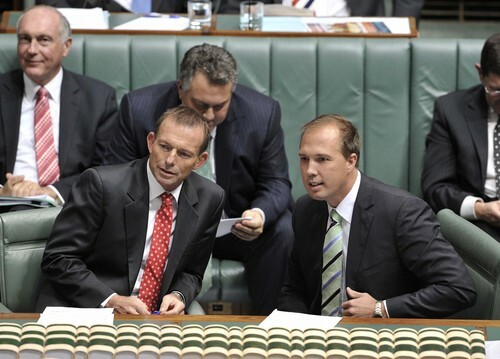 NACCHO political health news: Abbott Government creates new Indigenous Health Service Delivery Division to replace OATSIH. As previously noted, in both Croakey and NACCHO Aboriginal Health Alerts there has been a deal of uncertainty about the fate of Indigenous health programs and services administered by the Federal Health Department and the Office of Aboriginal and Torres Strait Islander Health (OATSIH) under the new Federal Government. While no doubt there are still issues to resolve, at last there is some news – some programs will transfer to the Department of Prime Minister and Cabinet, as outlined below. But funding responsibility for most Indigenous health services remains in the Health Department, to be coordinated by a new Indigenous Health Service Delivery Division (which replaces OATSIH). No doubt many will be interested in the prediction that the new arrangements will mean less red tape for service providers. The departmental statement below has been distributed to the major stakeholders. “A number of stakeholders have been asking how OATSIH is affected by the Machinery of Government (MoG) changes announced by the Prime Minister recently. The Prime Minister has indicated that Indigenous affairs will be a significant priority for this Government and has decided to bring together many of the Indigenous policies and programmes under his own Department. Indigenous Sport and Active Recreation Programme currently managed by the Sport Branch (previously in the Department of Regional Australia, Local Government and Sport). The funding responsibility for the majority of Indigenous health services remains in the Health department, to be coordinated by a new Indigenous Health Service Delivery Division (which replaces OATSIH). This decision recognises the importance of the critical links between Indigenous health programmes and mainstream health structures. While there are a number of structural changes required as part of the movement of policies and programmes to PM&C, the key priority for Government is to continue to deliver uninterrupted services to Indigenous people. It will be business as usual with service providers and funding arrangements during this transition period from both the Health Department and PM&C. Croakey and NACCHO will be interested to hear your response to these changes. The document portrays racism as being institutionalised within health care — rather than being an aberrant behaviour by a minority. Journalism that has learned this lesson might end up with much more powerful and instructive stories. Journalism has a lot to learn from the health sector, I’ve often thought. Many of healthcare’s challenges — reducing errors, becoming more responsive to the community, avoiding capture by powerful interests — are relevant for journalism as well. So when the new National Aboriginal and Torres Strait Islander Health Plan 2013-2023 was released last week, I read it looking for what journalists might learn. The report makes it clear that racism is a huge health issue. Lately there has been some self-reflection by the media about our role in entrenching gender inequality (including on the front pages of The New York Times). We could also reflect on our own role in entrenching rather than confronting racism. The document calls for culturally supportive and culturally safe environments in health care. A large part of the media industry has not grappled with what this might look like in journalism, whether for members of our industry, or for communities and people interacting with us. The document portrays racism as being institutionalised within health care — rather than being an aberrant behaviour by a minority. Journalism that has learned this lesson might end up with much more powerful and instructive stories. As the ABC presenter Waleed Aly wrote earlier this year, in the wake of yet another publicised incident of abuse, “our real problem is the subterranean racism that goes largely unremarked upon and that we seem unable even to detect”. 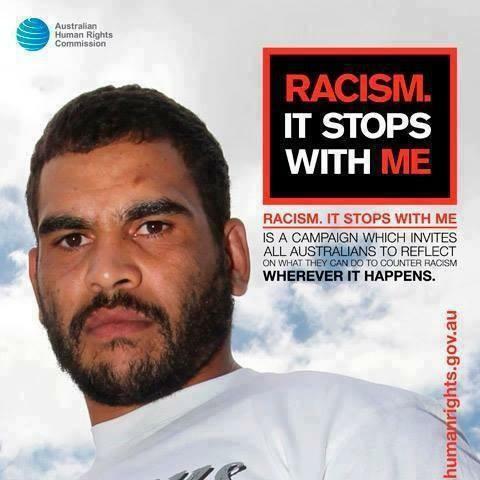 Nareen Young, CEO of the Diversity Council of Australia (and a tweeter on these issues), says the media could help by spending less time arguing about what constitutes racism, as this unending debate is exacerbating the hurt. “We need to say that if something hurts someone deeply, it is racist,” she said. The council would like to work with the media to identify areas for improvement. The plan’s holistic approach to health is something we all could learn from. 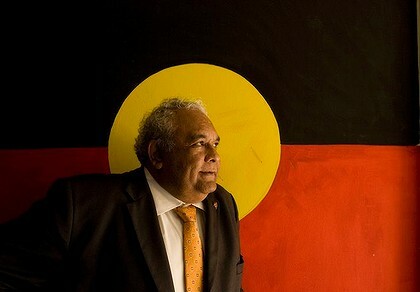 Indeed, GP Dr Tim Senior has argued for a wider adoption of the Aboriginal definition of health. Much media reporting reinforces a narrow biomedical focus, and neglects the wider determinants of health — like the importance of an equitable education system, an inclusive society and a healthy environment. If journalists incorporated the plan’s broad understanding of health into our work, we might see more useful reporting — whether on health or wider policy issues. The document stresses the importance of culture, language and cultural identity to the social and emotional wellbeing of Aboriginal and Torres Strait Islander people. Yet so often, media reports portrays culture as a negative. If reporting such concerns, then at the least this broader context needs to be included. Beyond that, how might journalism contribute to wider acknowledgement of culture? Through use of language, for example? The plan also stresses the importance of acknowledging and understanding the diversity of Aboriginal and Torres Strait Islander peoples. The fact that different people hold different views does not automatically mean conflict and division. Is journalism capable of respect for diversity? 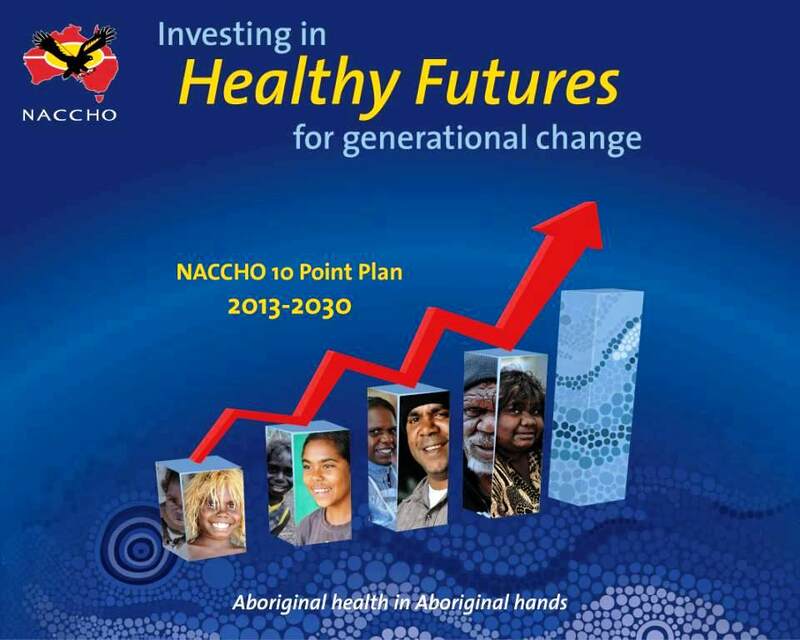 The plan emphasises the importance of strengths-based approaches to Aboriginal health, rather than a focus on the deficit model that is so common amongst both the media and health sectors. Journalism can be overly focused on the deficit model — telling us about problems we often already know about — rather than investigating potential solutions. This is not an argument for “soft” journalism — it is actually easier to describe problems, whether in Aboriginal health, climate change or obesity, than to do the hard yards of solutions-focused journalism. The plan also underlines the impact of the past upon contemporary health and wellbeing, referring to the legacy of intergenerational trauma. Most of the recent media coverage celebrating the 200th anniversary of European explorers crossing the Blue Mountains did not even canvass the implications for the area’s Aboriginal peoples. Surely this type of coverage — that privileges one historical experience and account over another — exacerbates the intergenerational trauma identified by the new plan. No doubt some hackles will rise about the idea that we in the media have a responsibility for our work’s impact. But the industry’s engagement with mental health initiatives suggests there is a wider awareness and willingness to evolve our practices. This piece is written from my perspective as a non-indigenous journalist. I wish I’d had the chance to reflect on these issues earlier in my career. There are many journalists and organisations, particularly in the community sector, whose work reflects the principles underlying the new national health plan. And the digital era is enabling initiatives like the Cherbourg MoJo project in Queensland which is equipping young people with the skills to tell their community’s stories. You can see this as a digital media project or as a health intervention, given that it aims to improve self-esteem, confidence, literacy, and to “present a less marginalised view of the community”. So while journalism can learn plenty from the health sector, it works both ways. The Cherbourg project suggests the skills of journalism can be harnessed for improving a community’s wellbeing. Mind you, the ancient art of telling stories was around long before the modern concept of journalism was invented. The study has been developed by researchers based at the Murdoch Children’s Research Institute and the University of Adelaide, in partnership with the Aboriginal Health Council of South Australia Inc.
Background: Australian Aboriginal and Torres Strait Islander women are between two to five times more likely to die in childbirth than non-Aboriginal women, and two to three times more likely to have a low birthweight infant. Babies with a low birthweight are more likely to have chronic health problems in adult life. Currently, there is limited research evidence regarding effective interventions to inform new initiatives to strengthen antenatal care for Aboriginal families. The Aboriginal Families Study is a cross sectional population-based study investigating the views and experiences of Aboriginal and non-Aboriginal women having an Aboriginal baby in the state of South Australia over a 2-year period. The primary aims are to compare the experiences and views of women attending standard models of antenatal care with those accessing care via Aboriginal Family Birthing Program services which include Aboriginal Maternal Infant Care (AMIC) Workers as members of the clinical team; to assess factors associated with early and continuing engagement with antenatal care; and to use the information to inform strengthening of services for Aboriginal families. Women living in urban, regional and remote areas of South Australia have been invited to take part in the study by completing a structured interview or, if preferred, a self-administered questionnaire, when their baby is between 4–12 months old. Discussion: Having a baby is an important life event in all families and in all cultures. How supported women feel during pregnancy, how women and families are welcomed by services, how safe they feel coming in to hospitals to give birth, and what happens to families during a hospital stay and in the early months after the birth of a new baby are important social determinants of maternal, newborn and child health outcomes. The Aboriginal Families Study builds on consultation with Aboriginal communities across South Australia. The project has been implemented with guidance from an Aboriginal Advisory Group keeping community and policy goals in mind right from the start. The results of the study will provide a unique resource to inform quality improvement and strengthening of services for Aboriginal families. Keywords: Antenatal care, Health inequalities, Indigenous health, Maternal health, Participatory research, Perinatal health outcomes. Australian Aboriginal and Torres Strait Islander women are between two to five times more likely to die in childbirth than non-Indigenous women, and two to three times more likely to have a low birthweight infant . Babies with a low birth weight are more likely to die in infancy , more likely to be admitted to neonatal intensive care , and may be more likely to have serious health problems (e.g. cardiovascular disease, diabetes) in adult life . Recent data suggest that in some Australian states, including South Australia, the proportion of low birth weight babies born to Aboriginal mothers may be increasing [5,6]. The Australian Government has set agreed targets for closing the gap in Indigenous disadvantage outlined by the Council of Australian Governments (COAG) in the National Indigenous Reform Agenda . Under the terms of this agreement, federal, state and territory governments have committed to closing the gap in life expectancy between Aboriginal and non-Aboriginal Australians within a generation, and halving the gap in mortality rates for Aboriginal children under five within a decade. 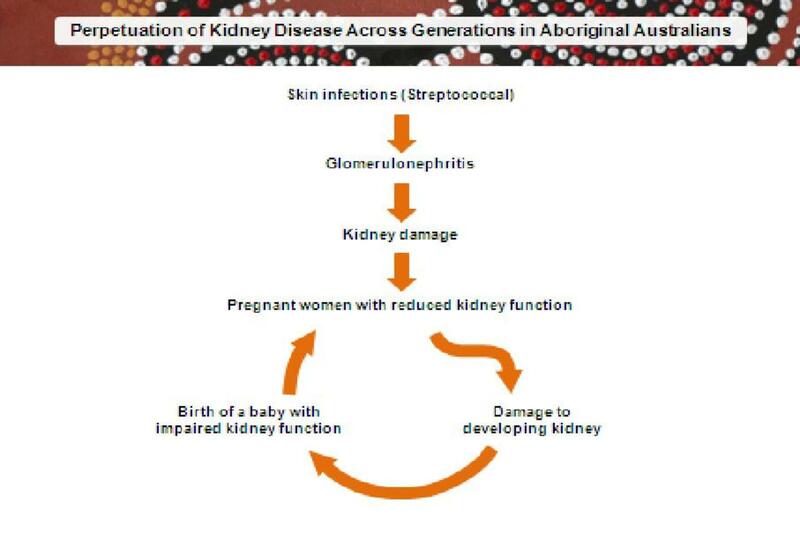 Key performance indicators for the National Indigenous Reform Agenda include: an increase in the proportion of Aboriginal and Torres Strait Islander mothers receiving antenatal care in the first trimester of pregnancy (≤13 weeks’ gestation) and in the proportion of Aboriginal and Torres Strait Islander mothers attending five or more antenatal visits; and a reduction in the proportion of Aboriginal and Torres Strait Islander infants with a low birthweight (<2,500 grams). New funding made available under the COAG National Partnership Agreement on Indigenous Early Childhood Development has facilitated a range of new programs and initiatives to strengthen antenatal care and child and maternal health services for Aboriginal families in all Australian states and territories . Currently there is a dearth of research evidence regarding effective intervention strategies to inform these initiatives [9-12]. Most of the available evidence comes from small-scale local evaluation studies, predominantly undertaken in regional and remote locations [13-20]. The roll out of COAG funding under the National Partnership Agreement has in effect created an Australia wide ‘natural experiment’ in seeking to improve maternal and perinatal outcomes for Aboriginal and Torres Strait Islander women and children. It is vital that lessons learned fromthe range of programs being developed and implemented with COAG funding are captured by concurrent evaluation at a state and territory level. However, there is still no complete national perinatal data for Aboriginal mothers and babies. State and territory based perinatal data collections vary in their capacity to ascertain Aboriginal and Torres Strait Islander status of mothers and infants, and steps have only recently been taken to include information regarding status of the infant in the minimum data set for most state jurisdictions . This paper describes the development of a statewide study in South Australia that aims to invite approximately 300 women giving birth to an Aboriginal baby to talk about their experiences of using services during pregnancy, labour and birth, and the first 4–12 months after having a baby. The study has been developed by researchers based at the Murdoch Childrens Research Institute and the University of Adelaide, in partnership with the Aboriginal Health Council of South Australia Inc. (AHCSA). The project arose in the context of planning for a population-based postal survey of recent mothers in South Australia and Victoria. In 2006, the researchers planning this survey approached the AHCSA about working in partnership on a project to provide avenues for Aboriginal women’s voices to be included in the research. At our initial meeting we discussed the idea of seeking funding to facilitate consultations with Aboriginal community organisations and communities in South Australia as a way to seek input into development of the research. The Aboriginal Families Study is the name given to the project that grew out of these discussions. South Australia where the project is based is one of six Australian states, and covers a geographic area four times the size of the UK. Often when researchers approach Aboriginal community organisations and/or communities, they already havea fairly well developed research question and study protocol in mind. We did not. This paper charts the social history of the project, and outlines the steps we took to get from our initial discussions in 2006 to the stage of developing the study protocol, governance arrangements, and procedures for carrying out the study. These include: obtaining ‘in principle’ support from the Board of Management of the AHCSA for the conduct of consultations with Aboriginal communities about the project; development of a project agreement between MCRI and the AHCSA; establishment of an Aboriginal Advisory Group to guide the consultations, and subsequently, the development of the study protocol, and conduct of the research; statewide consultations with Aboriginal communities, policy makers and service providers preceding development of the study design and methods; a lengthy pilot study phase that tested different versions of the study questionnaire and recruitment procedures; obtaining ethics approval from a variety of institutional ethics committees; development of a Research Agreement covering governance arrangements for the research phase of the study signed by all partner organisations and study investigators; appointment and training of the fieldwork team; through to recruitment and interviewing of women in urban, regional and remote areas of South Australia. In partnership Melissa Sweet’s Croakey – The Health Wrap, we will aims to highlight interesting and important news and developments. 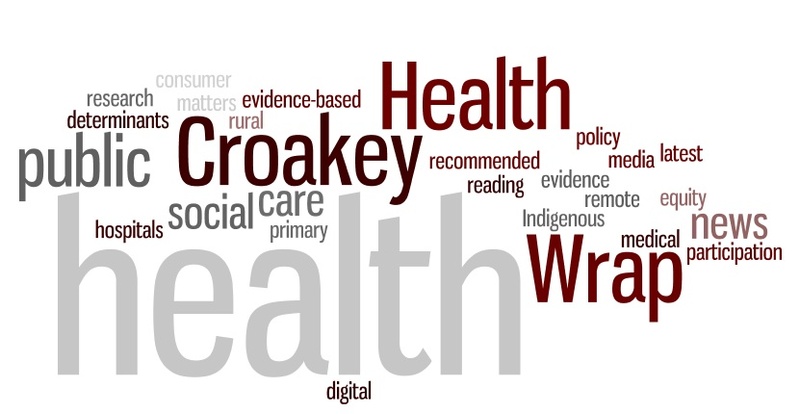 It will link you into some of the interesting and important health news from the previous fortnight, including items covered at Croakey and elsewhere. It is compiled by experienced health and medical journalist/editor Kellie Bisset, who is communications director at the Sax Institute. Kellie Bisset, an experienced health and medical journalist/editor who is communications director at the Sax Institute (follow her at @medicalmedia), has kindly offered to provide this column as a probono service to Croakey readers. An active two weeks of discussion around mental health – both locally and internationally – was jump-started with the release of DSM 5, the fifth edition of the American Psychiatric Association’s Diagnostic and Statistical Manual, which has, among other things, included a new diagnosis for prolonged grief. Has labelling of mental illness got out of hand? Writing for The Conversation, Professor Emeritus of Psychiatry at Duke University Allen Frances strongly believes the new manual will lead to “diagnostic inflation”, but others, such as Professor Nick Glozier say its influence is overstated. This middle-of-the-road Conversation piece by psychiatry lecturer Darryl P. Watson is a good overview of the debate. Meanwhile, health news watchdog Gary Schwitzer highlights a PLOS Medicine editorial on the paradox of over-treatment it says is fuelled by pharma marketing and “profound under-recognition” of mental health issues affecting millions across the globe. Meanwhile, the Mental Health Council of Australia and National Mental Health Commission hosted a meeting to outline the NGO sector’s long-term blueprint for improving the lives of those with mental illness and their carers. And a National Summit jointly hosted in Sydney by NSW and Federal Ministers for Mental Health explored the issue of premature death among people with mental illness. At Croakey, Mark Ragg pre-empted the summit with a piece arguing that without dollars, all the talk would be for naught. A funding announcement was made the day before the summit; the Federal Government said headspace would be given $247 million to deliver nine early psychosis youth services under the EPPIC program. This prompted a Croakey post from Sebastian Rosenberg arguing that current state/federal governance of mental health in Australia is unworkable and cannot deliver a “new deal” for mental health. Associate Professor Jane Burns, CEO of the Young and Well Cooperative Research Centre, also blogged about the importance of allowing young people to shape research, practice and policy in youth mental health. Also in the news was the launch of a new National Aboriginal and Torres Strait Islander suicide prevention strategy, promising a holistic, early intervention approach focused on working with Aboriginal and Torres Strait Islander peoples to build strong communities. The aims are to reduce the causes, prevalence, and impacts of suicide on individuals, families, and communities. As the American Psychiatric Association and the Royal Australian and New Zealand College of Psychiatrists both held their annual meetings (check #APAAM13 and #ranzcp for tweetstreems), the Hunter Institute of Mental Health launched two reports on the needs and experiences of those caring for someone with a mental illness. Institute Associate Director Jaelea Skehan outlines them both in this Croakey post, and along with the SMH’s Amy Corderoy, reminds us of the daily difficulties faced by carers, who often face their own mental health issues. Moves to amend the NSW Public Health Act to make childcare entry conditional on parents vaccinating their children or registering for an exemption have been widely praised. But some, including Julie Leask and Hal Willaby who wrote this piece on Croakey and The Conversation, argue the move is flawed and could have unintended negative consequences for children and marginalise some parents even further. The Queensland Opposition has proposed similar legislation. Meanwhile, the RACGP has been forced to defend its continuing education program after an SMH report revealed it had accredited a training course that perpetuated vaccination myths. The broader issue of vaccination was also brought to light in a new SBS documentary – Jabbed – and The Conversation’s Sunanda Creagh reported on a new Australian Prescriber paper showing pneumococcal disease has plunged by 97% since vaccination. The ABC’s Sophie Scott raised concerns over pop-up clinics that screen for heart attacks and strokes in a story that highlights once again the ethics of preventive screening for asymptomatic people. And Amy Corderoy at the SMH took aim at the millions of potentially unnecessary Vitamin D tests being ordered for healthy people. The Hospital Alliance for Research Collaboration also heard from international expert Dr Mark Graber on how to address the untapped problem of diagnostic medical error. Dr Graber says patients play an important role in highlighting errors, but Reuters points out that research from JAMA Internal Medicine shows patients are still struggling with basic patient information materials, many of which are full of jargon and difficult to navigate. It’s been more than two weeks since Angelina Jolie chose to reveal the dramatic news of her preventive double mastectomy in the New York Times and in the wake of this there has been much written and said about her decision and the broader issue of breast cancer risk. 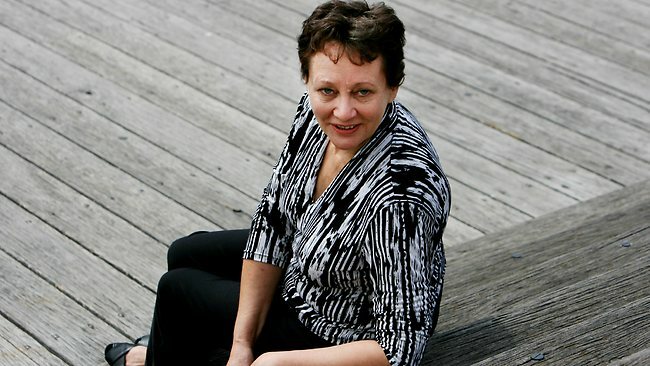 Hilda Bastian has explored the concepts of risk and overdiagnosis in this Croakey piece, which also links to other useful articles on the topic. The ongoing dialogue about the role of Big Food in the obesity epidemic took a new turn with Cancer Council Victoria research showing children are more likely to choose unhealthy foods over healthier products if they carry nutritional claims or endorsements from sporting stars. An interesting piece from Healio.com highlights a recent discussion led by Yale researcher Dr Kelly Brownell about how the growing literature around how food affects the brain could be a “game-changing concept”. He says this potentially opens the doors to tobacco-style litigation exploring whether food manufacturers knowingly modified products. In Australia, the Federal Government announced a further $800,000 in funding for the Food and Health Dialogue, a coalition of public health and industry groups that is working to reduce salt, sugar and saturated fat in processed foods. Addressing obesity by designing healthier environments remains a hot topic internationally. Californian public health officials are using their latest research to influence planned cuts to transit services. And Newsday’s great story on a New Jersey real estate agent who agitates for walkable neighbourhoods shows public health advocates can be found anywhere. In the same vein, US public television station KCET has produced a series on walking, travelling to cities across the US that are transforming themselves into more walkable communities. Croakey offered a perspective from Stephen Duckett on Opposition health spokesman Peter Dutton’s address to last week’s Australian Institute of Company Directors meeting. His comments on Medicare Locals indicate at the very least they would be renamed under a Coalition Government. Federal Health Minister Tanya Plibersek took on the pharmaceutical industry with a pointed media release highlighting its inconsistent position on the main drivers of increased PBS spending. And the Government released the Mason review of health workforce programs and indicated changes to the way towns are geographically classified for Government funding. In her Lowitja O’Donoghue Oration at the University of Adelaide, CEO of Danila Dilba Health Service Olga Havnen called on the “fault lines” between politicians, bureaucrats, NGOs and the Aboriginal Community Controlled Health sector to unite to make a real difference. She said a “doctrine of risk intolerance” had taken hold and caused government funds to be moved away from community-led organisations. Widening health gaps across Australia make it imperative to consider the social determinants of health across all policy areas, argue the Social Determinants of Health Alliance (SDOHA) and the Consumers Health Forum. Responding on Croakey to last week’s release of two reports from the COAG Reform Council, SDOHA renewed its call for Parliament to adopt the World Health Organisation’s Closing the Gap in a Generation report. In Geneva, Medicus Mundi International and the People’s Health Movement made a very clear statement to the 66th session of the World Health Assembly calling on the WHO to “undertake more robust research and initiate actions” on social determinants of health. This, and a wrap of the assembly, can be found in this Croakey post. In Canada, doctors are talking about the medicinal effect of increasing people’s incomes. The Canadian Medical Association is conducting a national dialogue tour to ask people how poverty affects their health. And in Britain, The Independent reports that just under a third of people are excluded from mainstream society because they cannot afford to join in cultural activities. Iceland though, may have some answers. This BBC News Magazine article explores the lack of violent crime in the country and makes some associations with the lack of a class system and views about equality. Denmark is also looking at a systematic approach to health and wealth through technical innovation, as this Croakey piece from Dr Johnny Marshall explains. Plain cigarette packaging is in the news again, with reports that Ireland will follow Australia’s public health lead. 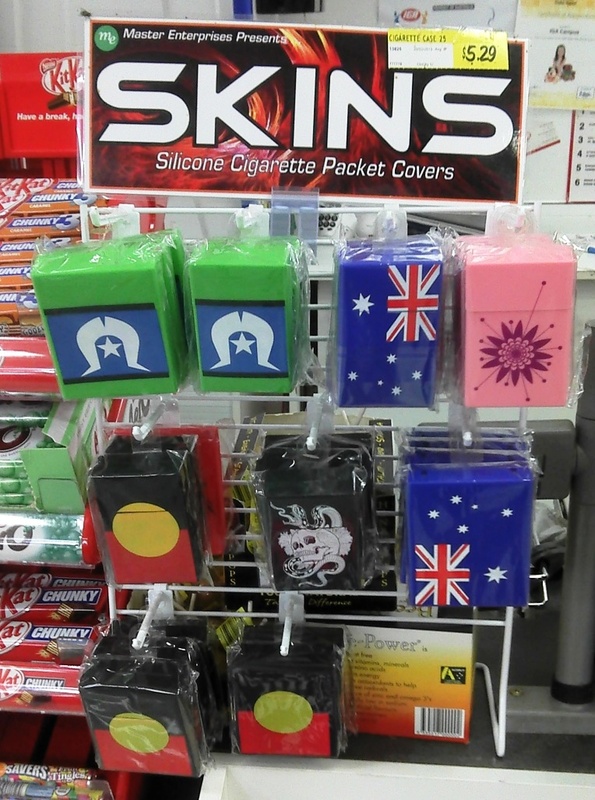 But as Croakey highlighted last week, there are still those determined to bend the rules; NACCHO has had to call out a company designing ‘skins for smokes’ that has appropriated the Aboriginal flag. Meanwhile, WHO Director General Dr Margaret Chan took the opportunity at the 66th World Health Assembly to make it absolutely clear that the WHO will never be on speaking terms with the tobacco industry. Perhaps sound advice for the US Food and Drug Administration? This paper in PLOS Medicine analyses documents released through litigation to explore the industry’s attempts to influence the FDA. And some shout outs to @sophiescott2, @reemarattan, @ivanoransky, @LRussellWolpe, @preventioninst, @healthageingAU, @EvidenceNetwork, @SimonChapman6, @AmyCorderoy for being valuable sources of news on Twitter this week. • Kellie Bisset is The Sax Institute’s Communications Director. She has worked in mainstream and medical journalism and communications for more than 20 years. During that time she edited both of Australia’s weekly medical publications for doctors, Australian Doctor and Medical Observer and developed a strong interest in health policy and evidence. The Sax Institute is a not-for-profit organisation that drives the use of research evidence in health policy and planning. Speaking at the Australian Medical Association (AMA) conference in Sydney on Friday, opposition health spokesman Peter Dutton said questions remained over the role of Medicare locals, the 61 organisations set up by Labor to co-ordinate primary care. “Some Medicare locals appear to be doing a good job,” Mr Dutton said. Mr Dutton has previously criticised Medicare Local, labelling it a bureaucracy that has not improved health services. On Friday, he said he was concerned Medicare Local could act as a commonwealth-subsidised competitor that disrupted other health services, rather than raising the level of care. “Contracts have been signed secretly, and the government refuses to provide any further detail about 3000 people now employed across the Medicare Local network,” Mr Dutton said. He said the coalition would consult experts including general practitioners and clinicians in its review. The Australian Healthcare and Hospitals Association (AHHA) called on the coalition to reveal its plans for Medicare Local ahead of September’s election. “Deferring decisions until after the election leaves patients, families, communities and health service providers in limbo,” AHHA chief Prue Power said. “The health sector is a complicated system and changes in one area can have significant implications for the rest of the system. “The coalition need to be upfront about their plans for Medicare locals and for primary health care more broadly. AML Alliance, the peak body for Medicare Local, said it would welcome the opportunity to outline to the coalition how Australia’s primary health care system was improving. “We have a wealth of data available to inform the opposition about the Medicare Local sector and I look forward to the opposition actively seeking this information from us,” AML Alliance chief executive Claire Austin said in a statement. Ms Austin said AML Alliance would treat a review as an opportunity “to fill in the information gaps the coalition seems to have about Medicare locals”.